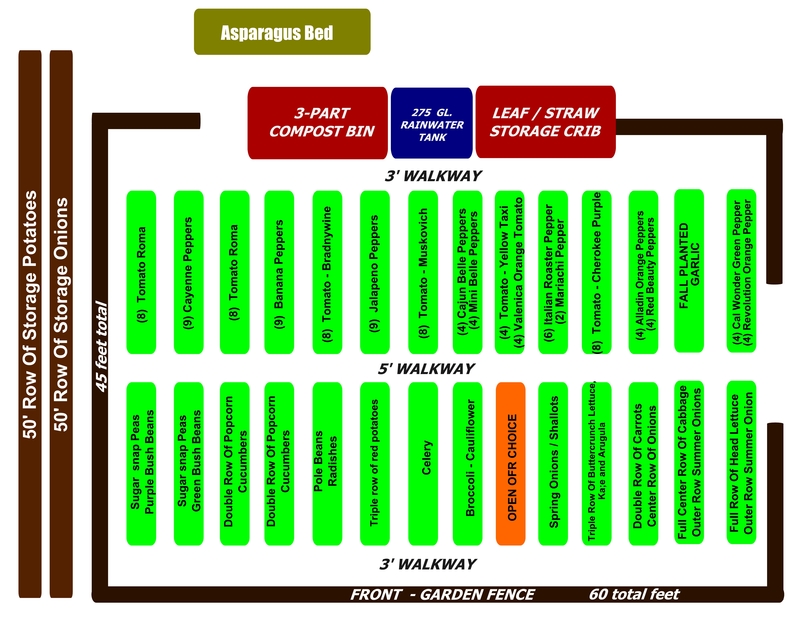 The 2014 Garden Plan – You can click on the picture to see the full size plan in detail. As much as we love the holiday season – at the stroke of midnight on December 31st we happily turn our thoughts to the coming growing season at the farm! It’s important to have our garden plan completed in order to have seeds and plants ready to start indoors in the coming months. (see: Starting Seeds Indoors). We create the plan first and foremost based on what our family likes best to eat – and for what we will need to store, can and preserve for the year. It sounds so basic – but it’s so important when planning to grow what you like – making your garden and the time you spend tending it as useful as possible. 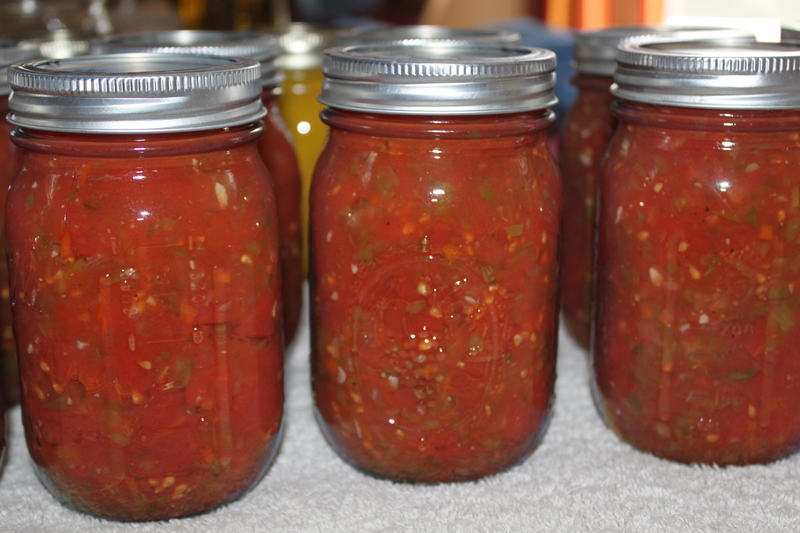 Canned Salsa is a staple in our house – so our plan includes a lot of tomatoes, peppers and onions! We added the Cherokee Heirloom Tomato to the garden plan this year. It has a beautiful color along with great taste. 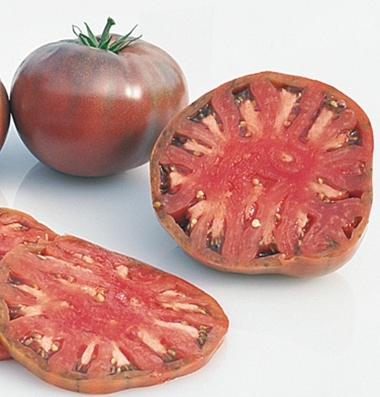 For this year’s plan – we continued to use more heirloom varieties, adding Brandywine (all purpose and great taste), Cherokee Purple (dark purple meaty interior) , Taxi (yellow) and Moskvich (early slicing and juicing tomat0) to the mix. 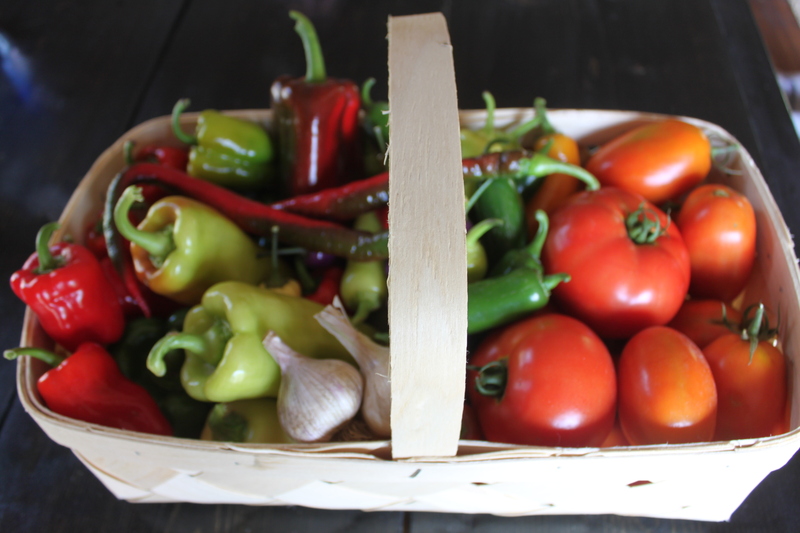 For the peppers, we added a sweet lunchbox variety to the plan – and kept in the hot Chinese Lantern peppers (great for drying into powder or fresh) that performed so well last year. In addition to the endless variety and amazing taste of heirlooms – the real beauty is that the seeds can be saved and re-used each year – an important part of becoming more sustainable and less reliable on having to purchase our seeds every year. This year – in anticipation of having the new root and wine cellar completed by fall – we added two long raised rows of potatoes and onions outside of the main garden. Onions and potatoes do well together – and we are hoping the two 50′ rows will provide enough extra to store for use all through the winter. 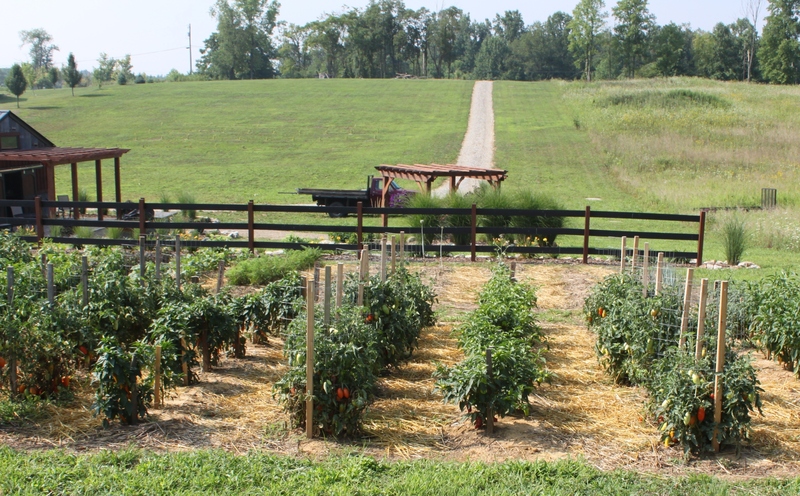 The Importance Of Companion Planting and Crop Rotation. Although not perfect – we try hard to employ two very important practices to our garden plan – companion planting and crop rotation. Companion planting takes advantages of the positive relationship between plants to help with everything from growth rate, pest resistance and soil fertility. In basic terms – some plants – such as corn, peas, beans and potatoes perform better when planted close to each other. On the other hand, cabbage can have issues when planted around tomatoes – so we try to keep as much separation as we can between them. For example – this year we are growing our cucumbers in the same rows as our popcorn. They perform well together, and the cucumber vines can grow up and around the stocks for support. It’s not an exact science – but every little bit helps! We also rotate our crops around in the raised rows each year to avoid planting the same crops in the same space. Tomatoes and peppers (related in the nightshade family), go from the top of the beds to the bottom, and then back up for year three. We also rotate the rows – so a specific plant (i.e. tomato) won’t be planted in the same soil for four years. It really helps keep pests and soil borne diseases at bay, and lets the soil recover from the specific nutrients that each plant takes from it. So there you have it – our 2014 plan! ← Oven Roasted Chicken Recipe – The Key To Crisp Skin and Juicy Meat!